The Alura Motel at 4665 Lindbergh, "Near Municipal Airport in St Louis County, MO. 24 modern units. 12 rooms with 2 double beds. Air cooled, Radiant heat, Television. Write Bridgeton P.O., St Louis Co., MO Tel. Terryhill 5-4644". 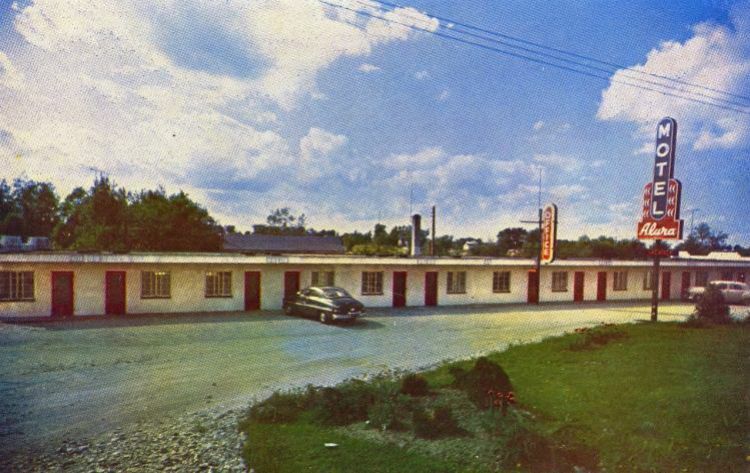 The motel was later known as the Lin-Air and was demolished for the runway expansion.